M1580c 15X80 compass is rated 5.0 out of 5 by 1. Rated 5 out of 5 by David Ross from The 80 objective lens caps need a tag line !! I bought them back in the nineties and I like them lot. Excellent binoculars. Do these operate in the dark? They do a great job of gathering light, with a huge objective lens. So yes, excellent in low light conditions. However, they are not night vision - there needs to be some ambient light. Currently the CAT coatings are only available on the Predator line of binoculars. 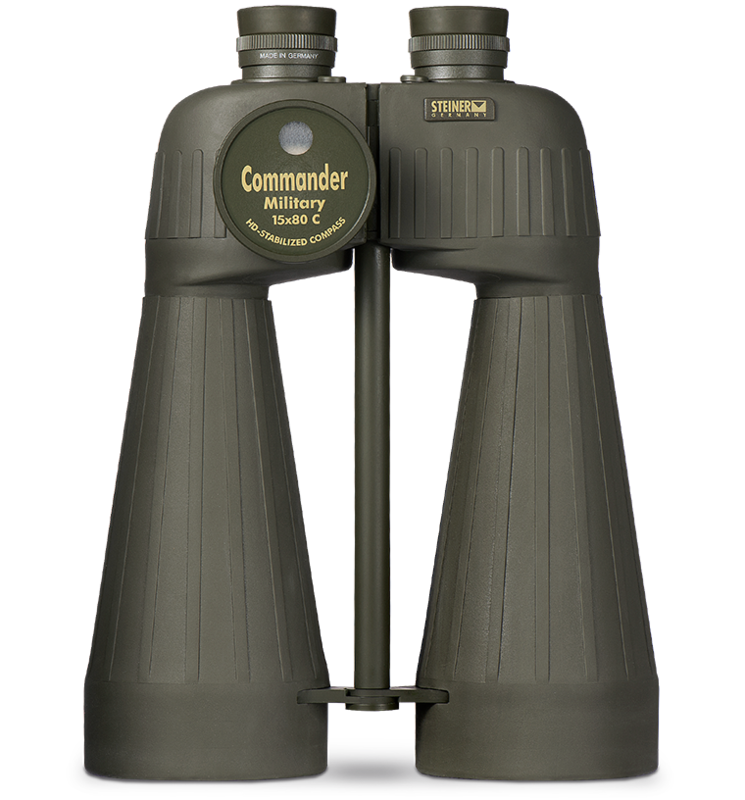 I have a set of Steiner Military Marine 15x80C Binoculars. When looking through them they appear very cloudy and when looking through the big lens it looks like dust inside. Would this be covered under a warranty? Is it something I could fix easily?. Hello. Do these include the tripod? If they don't, which do you recommend for it? Yes, a tripod adapter is included with this model. I have seen these models advertised with a Miliradian recticle. Can you please confirm whether there is a model of the M1580 or M1580c that comes with a reticle? There is not currently a 15x80 with a reticle. Does compass in this model work around the world / globally, especially Australia? It does not. You would need a global compass.